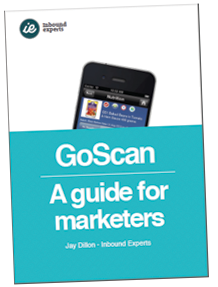 How can marketers make use of the new GoScan app? GoScan is a new iphone app developed by GS1 (the barcode people) that allows consumers to scan any product on the shelf to get more information about that product. It’s backed by some big companies (Heart Foundation, Coeliac Australia, Allergen Bureau, Coles, Woolworths, Kelloggs, Fonterra etc) and offers an opportunity for adding more information to the label (without actually adding it to the label). However, what about us marketing types? We decided to spend some time exploring the unique interactive elements of the app with the aim of using it as a ‘Point-of-purchase’ marketing tool. Our findings are interesting and we have made them available to you free of charge below. Just place your details in the form below to receive the guide for free (we will never spam you or share your details with anyone else).